“I had my iPhone 6 stolen from me and i had not set up a password. I immediatly did find my iPhone and got the location so i erased the content in attempt to prevent my data. I then saw you cannot track phones once content is erased and it has been offline for two days. How do I restore the data on my stolen iPhone 6 or is there a way to recover the data using backup without a phone? 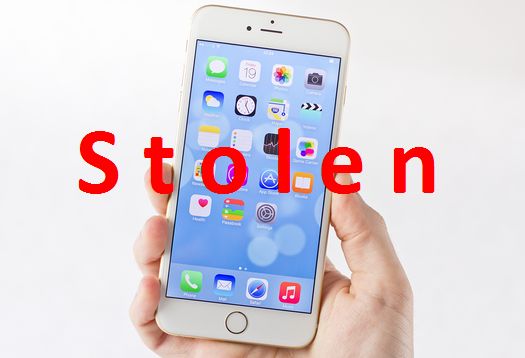 How to protect your private data after iPhone 6 stolen? While this might not prove to be really effective, it doesn’t hurt to report your lost or stolen device to your local authorities. You might have to spend a while at the police station to get it done, but if they ever find your device, they will be able to trace it and give it back to you. In order to do so, they will most likely need the Serial Number of the device. You can find your stolen iPhone 6‘s Serial Number on the original box or receipt. If you don’t have these, you can always find it from https://supportprofile.apple.com/, assuming you registered your device with your own Apple ID. Your iPhone 6 might have been somewhat secured thanks to Lost Mode, but your SIM card can still be used in a different device to make phone calls, send text messages and use data. This is why we strongly recommend calling your carrier as soon as possible and reporting your stolen iPhone 6 and make sure they deactivate your account. The sooner you do this, the quicker you make sure no one is going to make expensive calls on your dime. The carrier might also be able to add your lost iPhone 6 to a database of lost and stolen devices. 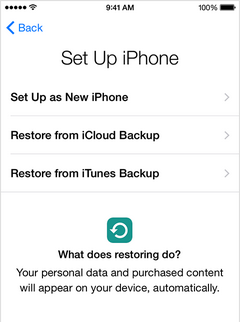 How to restore data on stolen iPhone 6 ? First, connect your device with PC via the USB cable. Launch iTunes and click “Summary” tab, then tap “Restore from Backup”. Then the device will restart and run to the Setup Assistant tab, just select “Restore from iCloud” and sign in iCloud account. 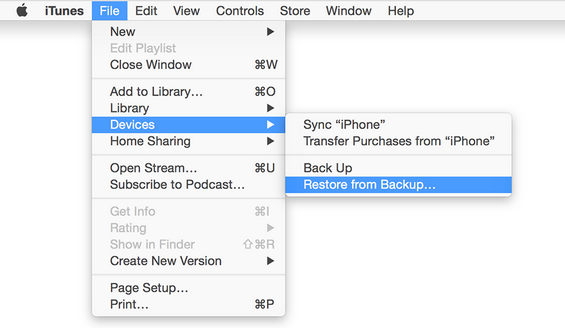 Choose an iTunes backup file for your iPhone 6, double click it or click “Start Scan” button to begin the scan. Selectively Mark those data you need and hit “Recover” button to save them on your computer. This entry was posted in iPhone 6 and tagged get back data on stolen iPhone 6, protect private data after iPhone 6 stolen, restore data after iPhone 6 stolen, restore the data on stolen iPhone 6 by IosdroneD. Bookmark the permalink.